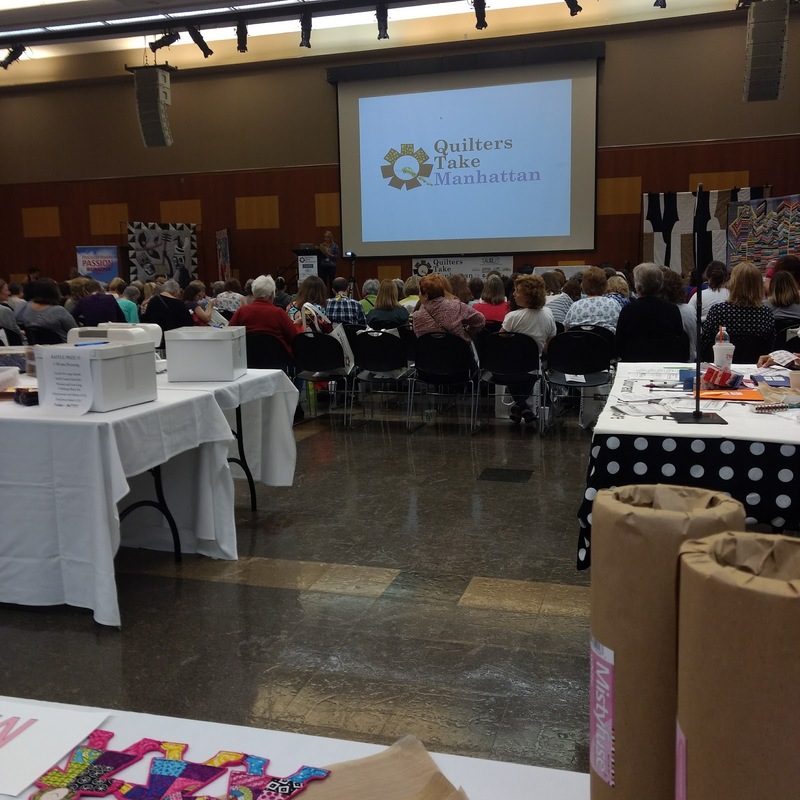 Quilters Take Manhattan is a fund raising event for Quilt Alliance. Quilt Alliance's mission is to document, preserve and share our American quilting heritage. Pokey Bolton was the emcee for the day, and the main speaker at the conference was Sherri Lynn Wood, where she spoke about "Afterlife." You can read about the fascinating project on her blog where she took part in a four month residency at the Public Disposal and Recycle Area in San Francisco. Who knew so much could be inspired by going through the dump! The second speaker was Merikay Waldvogel, who has written several books documenting quilts in the south. 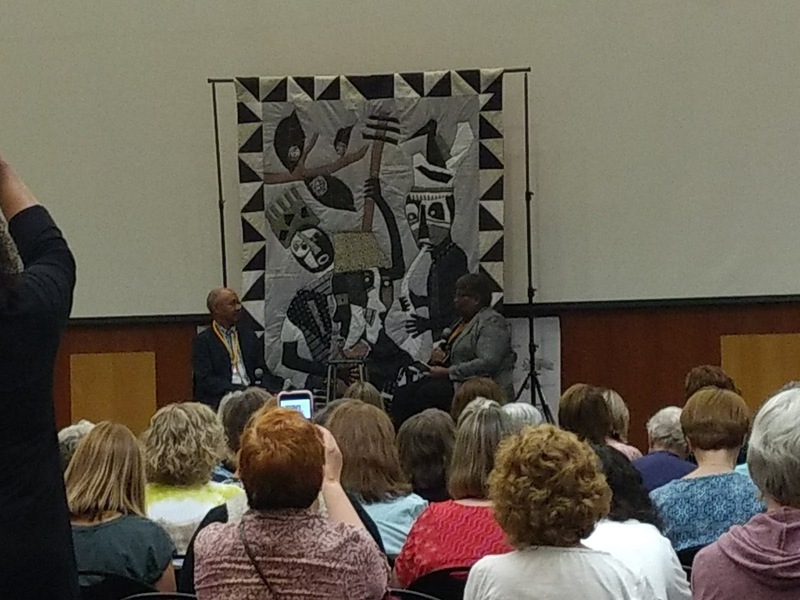 Dr. Carolyn L. Mazloomi then interviewed quilt artist, Michael A. Cummings. I really enjoyed Michael's art, and learning more about him. On Sunday, there were presentations from all of the sponsors. It was interesting to find out a little bit more about each company, and the people who have started these companies. 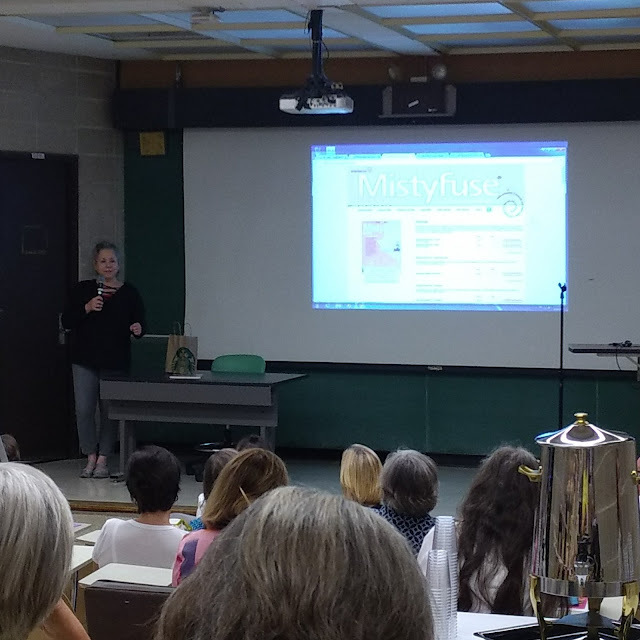 Iris did a great job talking about Mistyfuse. 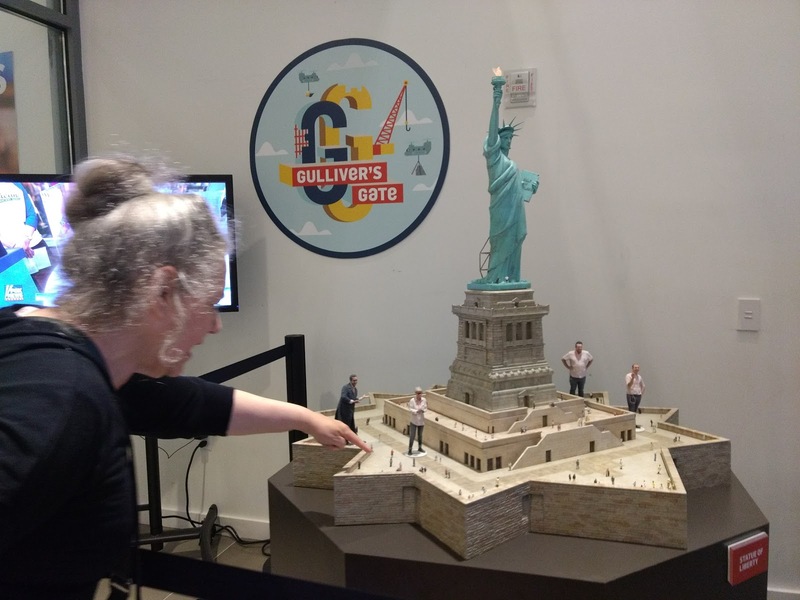 Later in the day, on the way to dinner I think, we went in to the outer hallway of Gulliver's Gate to see this model that John made. Iris is pointing out one of the people that is her and her friend. 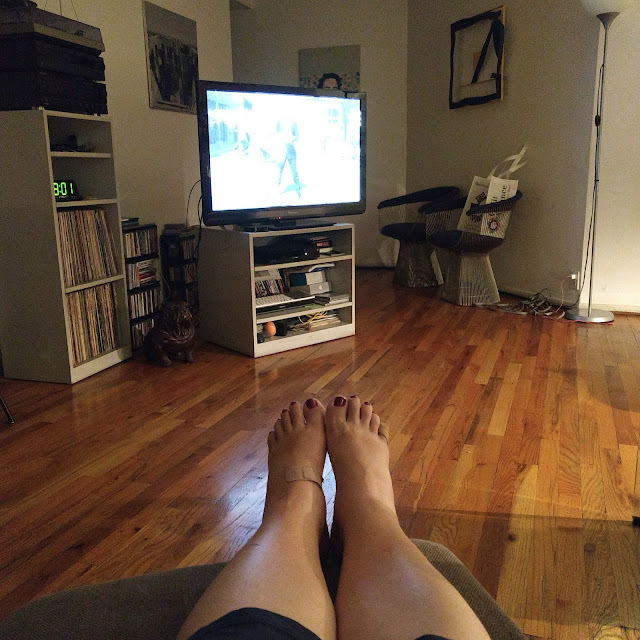 At the end of the day my dogs were tired, swollen and blistered, but look at them cute toes! But honestly, I really need to walk more. I'm anxious to start Jenny's 21 day "plactice" in the new year! I met her and took her class when she came to our Guild earlier this year. She is awesome!